After months and months of anticipation, the 2018 NFL regular season is finally here. And following months and months of preparation, so is the 2018 fantasy football campaign. Does it get any better than this? I doubt it, especially if you’re a football aficionado like myself. While Week 1 is usually a slow week for fantasy football sleepers, there are still so many to talk up, even the unexpected. Cue up James Conner. With Steelers RB Le’Veon Bell a no-show up to this writing — reports suggest that he could miss several weeks due to his contractual dispute — a player like James Conner is locked in as a fantasy football sleeper. While the Steelers have been preparing as if Conner will draw the Week 1 start, reports are suggesting that the team will employ Conner in a similar manner as they would use Bell if he was ready and available. As a result, Conner is expected to see a heavy workload as their three-down workhorse. He could be an immediate impact player for the Steelers now that he’s their RB1 for the unforeseen future. 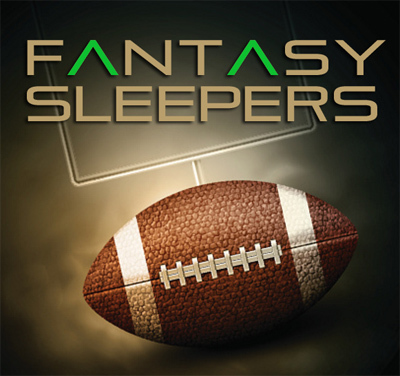 Conner is a brief preview of what you could expect to find by reading my weekly fantasy football sleepers article at Gridiron Experts. But if you’re looking for a more comprehensive example of my work, check out my Fantasy Football Sleepers for 2018 (One Per Team) Primer here. And while you’re at it, you should see if you have any of my players on your team. If you do, I’d feel that much more confident about your chances of winning your league this season. If you didn’t draft any of my guys, don’t fret. We will cross that bridge when we get there. Just stick with me. We will achieve greatness together. If you think I’m confident, you’re damn right I am. After all, who wants to take advice from a guy full of ifs, buts, candy, and nuts? Now let’s do this thing! Disclaimer: This is where you will normally find my weekly full-disclosure. A weekly disclosure is a breakdown of the top overall fantasy producers from the week that was as well as the point totals of my sleeper picks. This way, we can keep track of my success as well as my shortcomings. What can I say, I try to keep it as real as I can. You can find an example of what this will look like here. Don’t enter Week 1 wondering who the top players to insert into your fantasy football lineups are. Dive into Mike Rigz’s Week 1 Start/ Sit column right here. Jared Goff was one of my favorite sleeper quarterbacks in 2017. While he had a terrific season, he was one of the lower-owned signal callers on a week-to-week basis, likely because of his inconsistency as a fantasy producer. He looked like the next superstar one week and a mere game-manager the next. However, there was one gleaming factor that I could not resist. Goff played extremely well in favorable matchups — teams in the green on any matchup calendar. Facing teams that ranked amongst the bottom 16 in terms of easiest matchup last season, Goff accumulated at least 19.2 FPPG including four games with at least 20 points and two games breaking the 30 point threshold. In his other matchups, Goff struggled. His best game against a top 16 ranked defense was an 18.2 point game against the Eagles while not surpassing the 15.3 point threshold against the others. The proverbial saying “it’s a case of two quarterbacks” applies here. Because his supporting cast will essentially be comparable to what it was last year — the Rams moved on from Sammy Watkins and added Brandin Cooks, who are both similar skill-set players — Goff’s production is expected to remain at a high-QB2 level this season. In fact, it could be even better. With Todd Gurley likely to regress — we can’t really expect him to maintain his elite production spilling into 2018, can we? — the Rams high-octane offense could heavily rely on Goff and his pass-catchers. 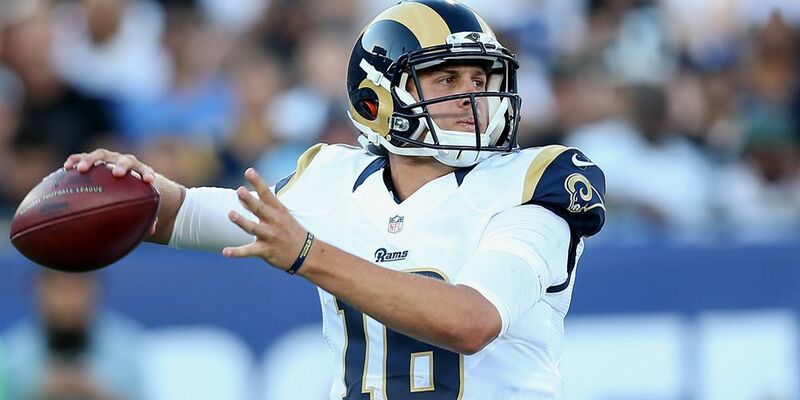 One of the most efficient passers in 2017 in terms of fantasy points per drop back and fantasy points per game — he finished the year ranked fourth (0.5 points) and ninth (17.6 points) in those categories amongst QBs respectively — Goff is poised to open the 2018 regular season on fire facing a Raiders defense that finished 2017 ranked 16 in FPPG allowed to opposing QBs at a 16.5 FPPG rate. Without Khalil Mack coming off the outside to rush the passer and force errant passes, Goff could go-off in Week 1. I’m starting Goff over Alex Smith. Does it get any better than this? 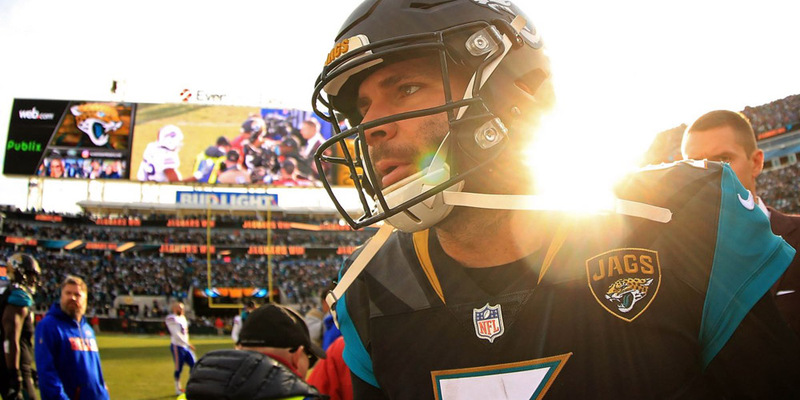 It’s Week 1 of the fantasy football season and I’m already touting my guy Blake Bortles. And why not? He finished the 2017 season on absolute fire and nearly brought the Jaguars to the Super Bowl. Excluding the postseason in which he accumulated at least 17.2 fantasy points in three games, Borltes put up at least 19 points in eight of the last 10 games of the year. Moreover, he scored at least 21.1 points in seven of those contests in that timespan. What’s even more impressive is that he accomplished that feat without Allen Robinson, which is why losing him in free agency is a non-factor. And while the Jaguars will be without Marqise Lee for the year due to his gruesome knee injury suffered in the preseason, I don’t believe his loss will be a factor either. As per usual since Tom Coughlin’s arrival last offseason, the Jaguars were smart and protected themselves, as well as Bortles with their personnel moves. Not only did they land Andrew Norwell, who was arguably the best interior offensive lineman in free agency, but they also added Donte Moncrief and Austin Seferian-Jenkins to Bortles’ arsenal of pass-catchers. While neither Moncrief or Seferian-Jenkins will light the fantasy landscape on fire, they will be key role-players for a Jaguars team primed for a Super Bowl run and a for a quarterback trying to earn the respect of his peers. Although it is clear that the Jaguars offense will run through Leonard Fournette, Bortles will remain a quality fantasy option. Not only will Bortles have an easier time passing the ball if Fournette is running well — the opposing defense would have to stack the box at a higher rate — but since the Jacksonville defense is amongst the league’s elite, he will have additional scoring opportunities — they will force turnovers and hinder drives. Facing the Giants in Week 1, I fully expect Bortles to perform as a fringe QB1. Not only did they allow the most points to QBs last season (19.4 FPPG), but the Giants didn’t do anything to bolster their secondary or pass rush. 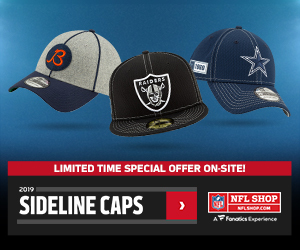 In fact, they lost both Jason Pierre-Paul and Eli Apple, two defensive starters. It’s going to be a long day for the Giants. I’m starting Bortles, who could also beat you with his legs — he finished 2017 with the sixth most rushing yards amongst signal callers (323 yards) — over Derek Carr. It’s the return of the Crow. Yes! Isaiah Crowell is back in the good graces of many amongst the fantasy football community. On top of that, he is the opening day RB1 for the Jets, and it’s not close. While the Jets moved on from Matt Forte this offseason — he retired — they also lost Elijah McGuire. He is on the injured reserve list with a foot injury. The Jets 2018 running back duties will be handled by Crowell and longtime PPR back Bilal Powell. However, I believe Crowell will handle the bulk of the touches, even acting as a three-down back at times. But while he’s totaled 68 receptions in the past two seasons, he is still likely to cede touches to Powell in passing downs. I also don’t expect Trenton Cannon to be heavily involved in the mix, barring an injury or unproductive play from the veterans. If he starts fast, Crowell will have the stranglehold on the starting job for the duration of the year. Never missing a game in his four-year career, Crowell was a steal in the latter-single-digit rounds of fantasy drafts this offseason. Entering the season opener I love Crowell’s matchup against the Lions. Despite adding defensive guru Matt Patricia as their head coach, I’m not buying into their defense early, especially on the ground — they struggle to stop the run. 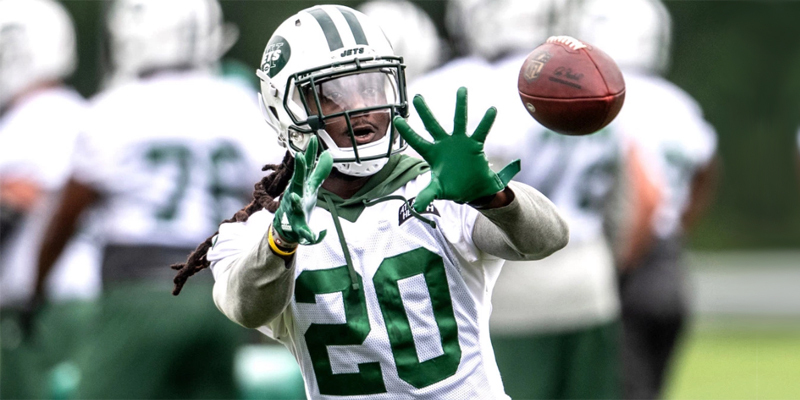 There will be a transition period and there will be some growing pains, which could make for a big day for Crowell. The Jets are starting Sam Darnold. Thus, the Jets will maneuver their offensive scheme to protect him, which means a healthy dose of Crowell — if the game remains within two scores and competitive, I don’t believe the Jets will abandon the run. I expect at least 20 touches for the former Browns RB. Facing a Lions defense that finished 2017 ranked second in fantasy points allowed to opposing RBs at a 21.1 FPPG pace, I’m starting Crowell over 49ers RBs in Week 1. 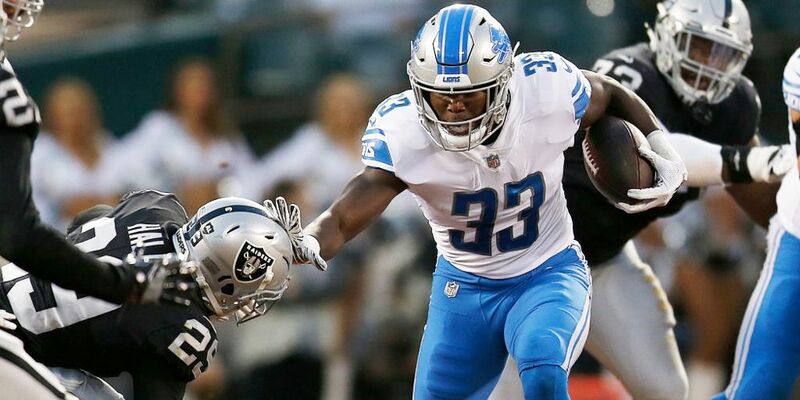 I’m going to remain in the Jets versus Lions game for my second running back sleeper because I can’t get enough of Kerryon Johnson. Despite a crowded backfield — the Lions roster also roster LeGarrette Blount and Theo Riddick — I believe we will see a healthy dose of the second round pick in April’s draft throughout the 2018 season. For Blount, I think he followed Matt Patricia to the Lions and will serve as a mentor, a leader and as a player who can begin to change a historically losing culture in the locker room. His opportunity-share will be limited. For Riddick, his role could be in danger. Johnson is talented enough to make him irrelevant. However, even if Riddick remains in the mix, he is at his best in passing situations. Similar to how the Lions handled Ameer Abdullah since 2015 — they gave him every opportunity to be their lead back for three seasons — I believe they will do the same with Johnson. He’d have to play as bad as Ronald Jones II in the preseason to lose his chance to be the Lions RB1 for years to come. While Johnson is the future of the Lions backfield, I expect to see the Lions employ a by committee approach to their ground game in Week 1. But don’t fret. They are entering a favorable matchup facing a Jets defense that allowed the 14th most fantasy points to RBs last season (19.0 FPPG), which bodes well for Johnson’s fantasy outlook this week. Since I only expect Blount and Riddick to garner short-yardage and passing down touches respectively, Johnson should still draw the bulk of the workload. And in a game in which the Lions are expected jump out to an early lead, Lions RBs, especially Johnson, should be busy. A dual-threat talent, I’m starting Johnson in the Flex spot over Seahawks RBs this week which includes fellow rookie and first-round pick Rashaad Penny. Johnson will out-produce his rookie counterpart. 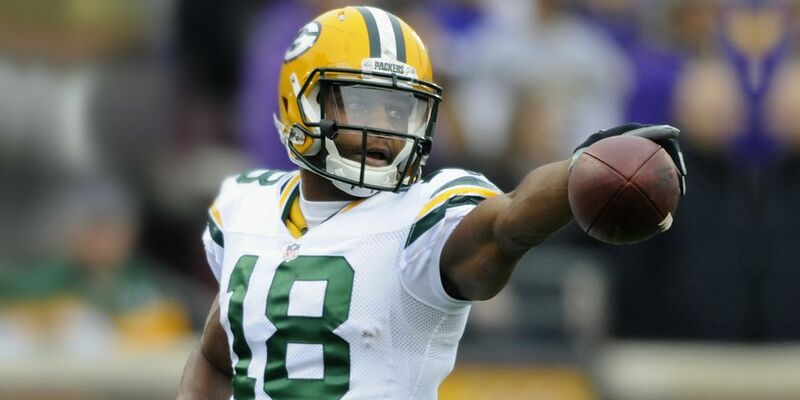 I’m shocked that Randall Cobb is only being started in 19.3 percent of fantasy leagues on ESPN this week. While an already upside Chicago defense is expected to take a leap with the addition of Khalil Mack, historically, Aaron Rodgers owns the Bears. In fact, Rodgers averages 22.2 FPPG against the Bears in 20 games. As a result, Cobb is not only in line to have a productive outing in the season opener, but he could also be in store for a big year. Since the Packers moved on from Jordy Nelson this offseason and only brought in Jimmy Graham to fill the gap, Cobb is slated as the Green Bay WR2. Moreover, Graham is a regressing tight end with his biggest impact to be made in the red zone, which means Davante Adams and Cobb are Rodgers’ top pass-catching targets in between the 20s. In PPR scoring formats, Cobb is going to eat. Entering his Sunday night matchup facing a Bears defense that allowed the 17th most fantasy points to WRs giving up 19.6 FPPG last season, I expect Cobb to maintain the recent 13.2 FPPG average he’s been putting up against them in their past four contests at Lambeau Field. He totaled 25 receptions for 285 yards and three touchdowns in that time span finding the end zone in 3-of-4 of those matchups. I’m starting Cobb over Sammy Watkins in PPR scoring formats.